[tps_footer]As earlier we informed, Bollywood actress Katrina Kaif will appear on Salman Khan‘s Bigg Boss 9 for the promotions of her upcoming film Fitoor. 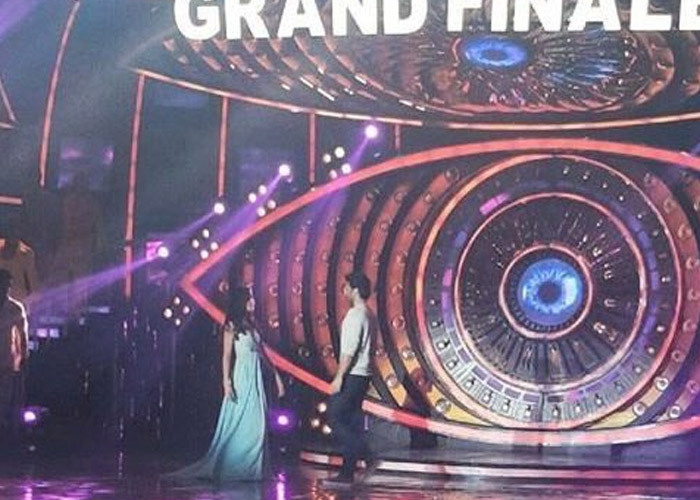 Well, after a long wait, finally we bring the first glimpse of Fitoor stars Katrina Kaif and Aditya Roy Kapur from the sets of Bigg Boss 9 grand finale. Looking at the picture, it seems the two will give amazing performance on the song from their film Fitoor. The actress has been rigorously promoting her film since past few days and for sure she didn’t wanted to leave the opportunity to promote her film on the most popular reality show Bigg Boss 9. Interestingly, Salman and Katrina will be seen together after almost 5 years on Bigg Boss. The duo were seen together last on the show when the actress had appeared on the show for the promotion of her film Tees Maar Khan. We all are aware about Salman Khan’s alleged affair with Katrina Kaif and it will be the most awaited moment to see ex-couple together again and moreover anything just after Ranbir Kapoor and Katrina Kaif reportedly broke up. Previous articleBox Office: Shah Rukh Khan’s Dilwale Becomes Second Highest Grosser Of 2015 Worldwide! Next articleWhat Made Sunny Leone To Apologise To Sunny Deol?